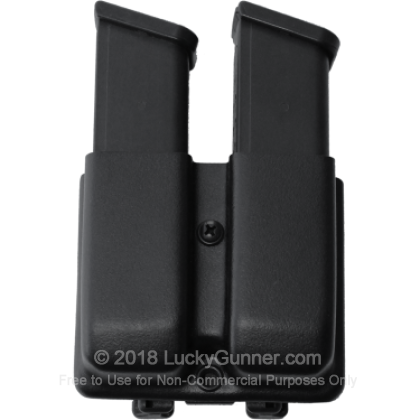 This double magazine pouch from Blade Tech holds reloads for your Glock 19, 23, or 32 pistol. It attaches outside the waistband of a belt. Designed for a right-hand draw, it comes with a tension adjustment for fine tuning retention and draw speed.